Sunset Beach Niagara Home - Preseason Pricing ends this week! No expense has been spared in this meticulously updated residence. Sunset Beach Niagara Home boasts top of the line upgrades throughout and offers discerning clients a truly luxurious retreat. The crisp, modern décor is beautifully accented by stunning lighting, high-end fixtures and contemporary furnishings. Entertain your guests in the designer kitchen featuring quartz countertops and stainless appliances, or on the private outdoor deck with lake views. Four bedrooms plus pullout sofas in the living & family rooms provide luxurious accommodation for up to twelve guests. 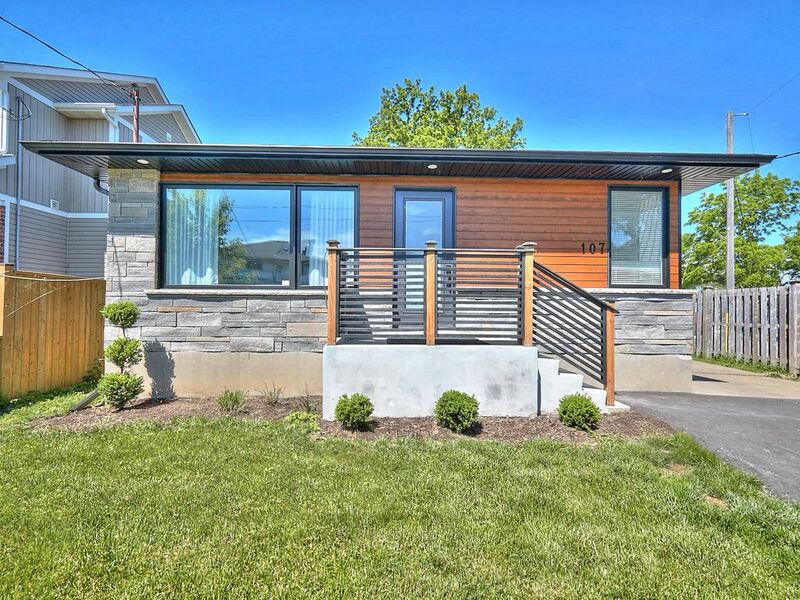 This stunning home is situated in a quiet north St. Catharines community, within walking distance of parks, hiking trails and the sandy shores of Sunset Beach. Take a five minute walk to our city's best kept secret "The Valley Restaurant" for classic Italian cuisine with Mediterranean flair. Nightly rates increase as dates approach for high demand periods*. Rates are subject to increase without notice until a reservation is confirmed. *high demand periods are currently March through October. Great space, fit our needs. Wifi didn't work upon arrival. Called and left a message about it and it was resolved within 24 hours. House was clean and as advertised. As a frequent traveler, feel the space was described accurately. Shopping and dining reasonable close by. Less than 20 minutes to any of the main tourist attraction areas. Great location to Sunset Beach. There is a cute little playground for kids at the beach. Easy to get to Niagra on the Lake and other attractions in the area. The home was very clean and updated. The deck is beautiful. The TV's stream Netflix etc. which is great. Make sure to bring your own beach chairs etc. as those are not provided. We would definitely stay here again. Lovely, modern, and clean home close to the lake. Had a wonderful time coming home to this quite neighborhood after a long day experiencing all the falls has to offer. Sitting out on the private back deck in the evenings after a walk by the lake made for a perfect vacation.